DeMarcus Cousins suffered a left quad injury during the first quarter of the Warriors’ game against the Clippers on Monday night will undergo an MRI on Tuesday, Adrian Wojnarowski of ESPN tweets. Cousins suffered the non-contact injury while making a steal. If the injury is serious, it would naturally be a major blow to Golden State’s quest for a third straight championship. The Warriors signed Andrew Bogut late in the season and his role would grow if Cousins misses significant time. The Grizzlies may be more focused on front office hires than filling their head coaching vacancy, David Cobb of the Memphis Commercial Appeal reports. J.B. Bickerstaff was fired and head of basketball operations Chris Wallace was re-assigned to a scouting position last week. Jason Wexler was promoted to team president and Zach Kleiman was named executive VP of basketball operations. “Trending that way,” Wexler told Cobb about the need to fill out the front office before hiring a coach. “But at the same time, I’m not definitely saying that we’ll have a full front office as we move through the coaching search. There will be a little bit of dual-tracking, but focusing a little bit more heavily on the front office out of the gate.” There’s been no talk yet about potential candidates, as we detail in our Head Coaching Search Tracker. Kevin Durant‘s poor temper could prove costly for the Warriors down the stretch of the playoffs, with the two-time NBA Finals MVP already accruing two technical fouls in the first game of the postseason, Chris Haynes of Yahoo Sports writes. According to NBA rules, a player will receive a one-game suspension if he reaches seven technical fouls during the playoffs. Durant was one of the league’s leaders with 15 techs during the regular season, often times expressing his displeasure with missed calls or getting into it with opposing players. In Game 1 on Saturday, it was Clippers guard Patrick Beverley who got in Durant’s head, leading to both players being ejected. The Warriors are seeking their fourth championship in five years and need Durant’s production, sporting an elite starting lineup that consists of him, Stephen Curry, Klay Thompson, Draymond Green and DeMarcus Cousins. The team took a 121-104 victory in Game 1 despite Durant being ejected, though it’s imperative he maintains his composure as the team looks to make a deep playoff run. Clippers coach Doc Rivers had a problem with Patrick Beverley‘s play earlier in the season, eventually leading to a positive turning point for the team, Andrew Greif of the Los Angeles Times wrote. “Early in the year we struggled with Pat,” coach Doc Rivers said last week, “because he was struggling buying in.” Beverley has since bought in, leading the Clippers at the point guard position and helping the team obtain a 48-34 record on the season. Clint Capela‘s thumb injury could cost him a $2MM bonus, Bobby Marks of ESPN notes. The Rockets center has a 2,000-minute criteria tied into the team reaching the Western Conference Finals and for a defensive rebounding percentage above 30%. He has another bonus for attempting 150 or more free throws and a free throw percentage above 65%. He is currently shooting 62.6% from the line. Through 42 games, Capela has played 1,436 minutes. He is expected to miss 4-6 weeks. Mavericks rookie Jalen Brunson and veteran Devin Harris will pick up the minutes vacated by backup point guard J.J. Barea, who suffered a torn Achilles on Friday, according to Callie Caplan of the Dallas Morning News. Brunson played 30 minutes against the Warriors on Sunday but Harris will see his role expand as well. “He’s going to be ready and he’s going to be there for us,” coach Rick Carlisle said of Harris. Kings assistant coaches under Dave Joerger are having their options for next season picked up by the front office, Sam Amick of USA Today tweets. That group includes Bryan Gates, Elston Turner, Bob Thornton, Jason March, Duane Ticknor, Larry Lewis, Bobby Jackson, Phil Ricci and Dan Hartfield. It’s a way of aligning the contracts of the staff with Joerger’s deal. The surprising Kings are currently a game above .500. Kings GM Vlade Divac warned members of the executive board to stop meddling in the team’s affairs, Sam Amick of USA Today reports. 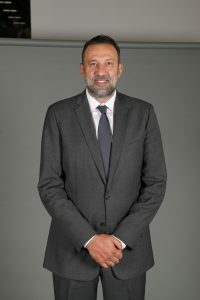 Divac made the pronouncement during a conference call with 13 members of the executive board, along with lead owner Vivek Ranadive. Divac has been frustrated by internal complaints and used the forum to demand respect, Amick adds. Thunder shooting guard Andre Roberson remains sidelined indefinitely, coach Billy Donovan told Maddie Lee of The Oklahoman and other media members. “He’s worked hard, he’s doing all he needs to do but he’s still in the rehab process.” Roberson suffered a season-ending left knee injury last January and suffered a setback in late November when an MRI revealed an avulsion fracture in the knee. Before he signed with the Lakers, Tyson Chandler gave legitimate consideration to joining the division-rival Warriors instead. As he tells Sam Amick of The Athletic, Chandler loves Golden State’s style of play and was told the team would be interested in adding him, but he knew there may not be much of a role for him when DeMarcus Cousins returned. The dynamic between Lakers head coach Luke Walton and team management is complicated enough that it’s worth keeping an eye on for the rest of the season, says Amick. However, a source close to the situation tells him that there are “no signs of imminent danger” for Walton. 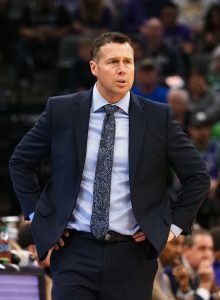 There has been speculation that Dave Joerger could be a good candidate for the Timberwolves‘ head coaching job since he’s a Minnesota native and has fans within the organization. There’s no indication that it’s likely though, according to Amick, who hears from sources that Joerger is still extremely high on the Kings‘ young core. Previous reports, including a couple from Amick, have suggested that there’s tension between Joerger and Kings assistant GM Brandon Williams, but that situation appears “more tenable” as of late, per Amick. Sources tell The Athletic that Williams spent a lot of time on the road during the weeks after Joerger asked him to leave a November shootaround, in a concerted effort to relieve tensions. All signs now point to Joerger remaining safe in Sacramento at least through the end of the 2018/19 season, Amick adds. Kings head coach Dave Joerger made some headlines after he praised standout rookie Luka Doncic following Sacramento’s tilt against the Mavericks on Sunday. Despite some skepticism about Doncic’s ability to translate his overseas success to the NBA, the 19-year-old is the early frontrunner for Rookie of the Year. “Perhaps there was an idea that there was a ceiling on him.,” Joerger said, per ESPN’s Tim MacMahon. “I don’t see it, unfortunately for us. But he’s great for them and he’s great for our league”. Some interpreted Joerger’s comments as veiled criticism of the organization, given his reportedly tumultuous relationship with certain front office members — the Kings passed on Doncic in the NBA Draft and instead used the second overall pick on Duke’s Marvin Bagley III. Doncic was taken third overall by the Hawks and traded to Dallas. On Monday, Joerger clarified his comments, stating this praise for Doncic involved “no veiled shots at anybody,” per Jon Krawczynski of The Athletic (Twitter link). Instead, Joerger used a high benchmark to predict the ceiling on the Kings’ young core of Bagley and De’Aaron Fox, the fifth overall pick in 2017.